In the late ‘80s/early ‘90s Gold Coast brothers Clifford and Jeffrey Hoad strutted their stuff across stages up and down the East Coast and across the US as Kings Of The Sun, thrilling long haired rockers with the swampy Serpentine, the pelvic thrust of Black Leather and the stadium rock of Drop The Gun, until rock was suddenly out of favour, leaving the Hoads high and dry. Drummer Cliff has assembled a new KOTS for this LP, and it’s a bloody ripper, featuring Rollerball veteran, Dave Talon, on guitar. 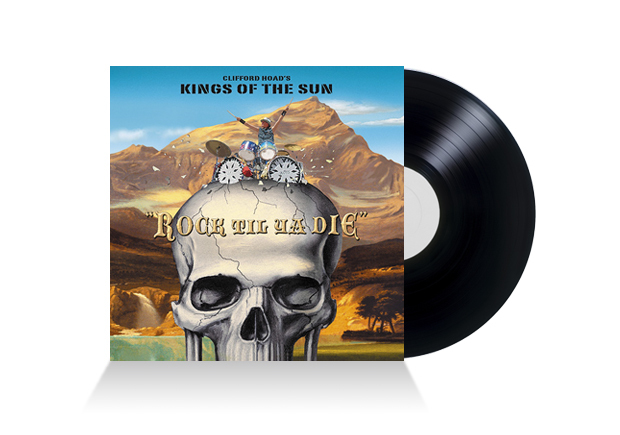 KOTS 2013 build on the old band’s sound with a thoroughly modern attitude and production, and while Cliff’s vocals lack the raw sexuality of his brother’s, they boast an authentic bluesy rasp and work well on balls out rockers Rockpile, Switchblade Knife and closer, Tighten Your Grip. Follow You Home has a lazy Sunday arvo feel to it with some exceptional hooks and Led Zeppelinesque riffing; Hearts Ablaze is simply scorching throughout; and the whole album is a grower. You’ll like it on first listen, love it after three, and only truly unravel the mysteries of the 11 tracks after living with it for a while.